The Episode starts with Omkar missing to see Triloki’s face. Shivika stops Omkar and says I will take care of dad. Omkar says fine. He goes out. Shivika and Omkar sit to rest. He sleeps. She looks at him. Her dupatta gets stuck. She pulls it. He wakes up. GST gets tea. Omkar says its a hospital. Shivika meets Devki and Shalu. Devki asks them to go home, they will sit now. Omkar says I will drop you home. Shivika says I will go. Devki asks them to go together. Jagat talks to his daughter Nikku. Jagat taunts Jaya for the drama. Jaya asks him to have tea. Jagat smiles and takes tea. Jaya gets an idea on hearing Jagat and customer’s talk. Omkar comes. Jagat asks how is pandit. Omkar says he is fine now. Triloki refuses to have food. He says don’t know who has cooked the food, maybe non veg is cooked in mess. Shivika gets tiffin and explains the nurse. She apologizes and asks Triloki to have the food. Devki asks her to go. Shivika goes to bank and meets Dolly. Dolly says I m still waiting. Shivika says I have to get this loan passed, I have to return money to boss. The man says you can’t get this loan without guarantee. Omkar asks what’s the matter. The man tells about Shivika needing loan. Triloki annoys the nurse and purifies himself. Nurse complains about him to Verma. Jaya thinks to steal some gas and sell it. Gas starts leaking. Nisha runs to help her. Jaya thanks her. Gupta asks was the gas leaking. Jaya says nothing, I m just cleaning the cylinder. Jaya scolds Nisha. Nisha agrees to keep quiet. She teaches Jaya how to turn off the knob. Triloki gets discharged from hospital. Devki asks Shalu to call Shivika and inform her. Shalu informs Shivika. Dolly tells her plan to repay the loan to boss. Shivika says someone transferred one lakh to my account, its a matter of tension. She calls bank to know about it. Manager says your loan isn’t sanctioned. Shivika says I will find out who is this well wisher. She goes to bank and asks his manager to return the documents. The man refuses. She asks Omkar why did he deposit money, what did he think. Shivika asks Omkar why does he help her. Omkar says I want to protect your happiness. She says sorry, this can’t happen. She goes. Her scooty breaks. Dolly asks Shivika to change her thinking, Omkar likes her, its not wrong. Shivika says this can never happen. 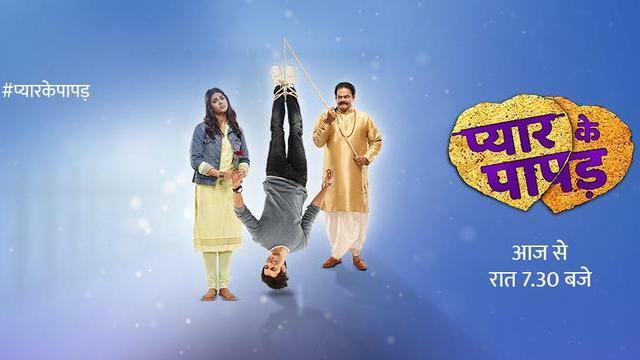 The post Pyaar Ke Papad 5th March 2019 Written Episode Update: Omkar helps Shivika financially appeared first on Telly Updates.